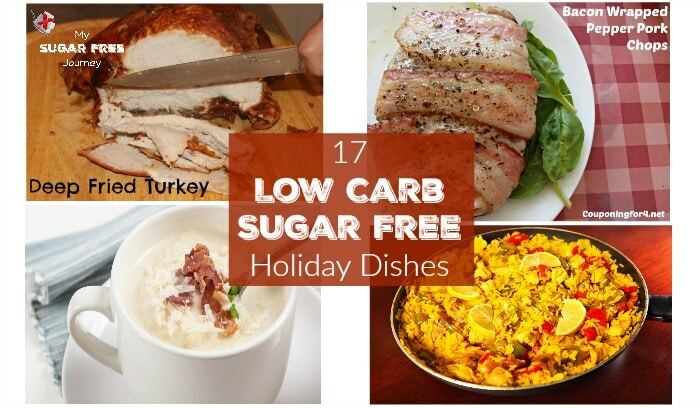 17 Low Carb and Sugar Free Holiday Dishes! 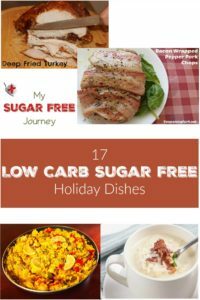 We are getting to the end of the year which means it is time to start thinking about some low carb Thanksgiving and Christmas recipes that will taste great but not expand the ole waistline. The average person gains 1-3 lbs per year and the majority of that weight is put on in the last 2 months of the year during the Holidays. 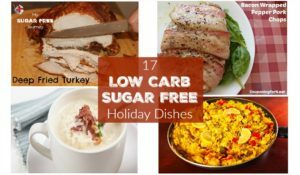 If you can keep your weight stable or even lose weight from Thanksgiving to Christmas, you are going to well ahead of the game. Remember that we you can still grab a copy of my Sugar Free Dessert Recipes ebook with several recipes specifically for the Holidays. I’ve already decided that the Lemon Cheesecake and Low Carb Pumpkin Pie in that ebook will be on our table this Thanksgiving. NEXT POST Next post: 10/26 Weightloss Wednesday: Important Changes to my Routines!